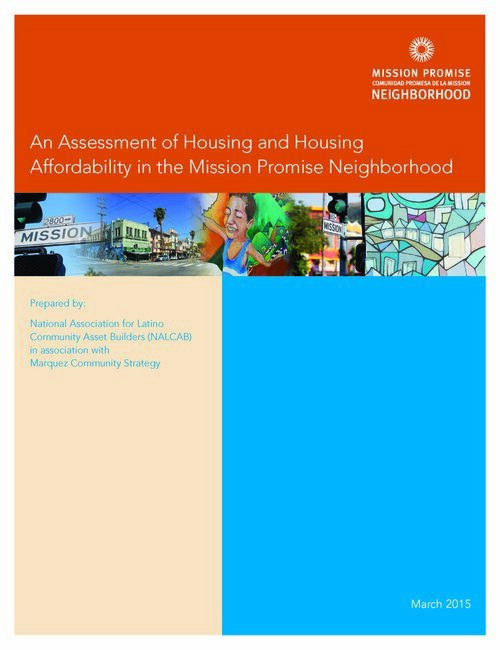 Mission Economic Development Agency’s (MEDA) Community Real Estate program was launched in summer 2014 as an urgent response to stem the displacement happening to low-income and working-class families in the Mission District. 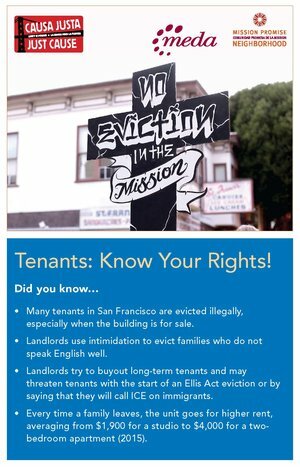 Low-income communities of color in San Francisco must be availed of tenants’ rights so that they can avoid illegal no-fault evictions. Services offered must be culturally relevant. 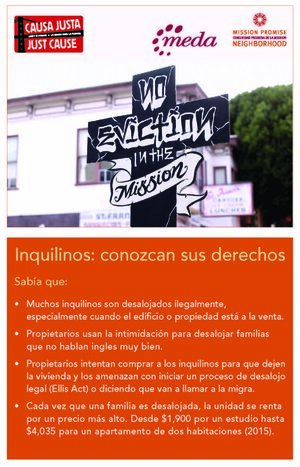 More information can be found at Causa Justa :: Just Cause and SF Rent Board. 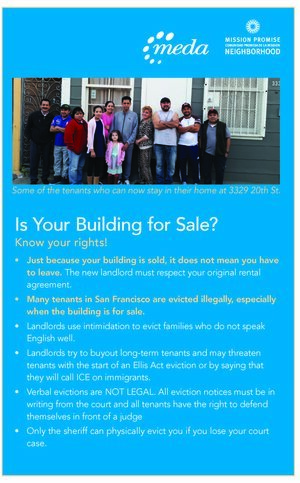 It is imperative to keep currently rent-controlled homes as affordable housing stock in San Francisco – not taken off the market by speculators. One of our results for the community is that families have affordable and stable housing. The City of San Francisco has a program that allows nonprofits, like MEDA, to purchase four- to 25-unit apartment buildings with residents and family-serving businesses vulnerable to displacement. This is a targeted approach that has already preserved hundreds of affordable units. Additionally, City monies allow MEDA to refurbish the buildings, as needed, to offer residents quality housing. The U.S. Housing and Urban Development (HUD) RAD program allows nonprofits, like MEDA, to take over management of public housing, while refurbishing the property so that residents have affordable and quality housing. This program means San Francisco’s public housing sites leverage debt and equity — from public and private sources — to reinvest in the public housing stock. 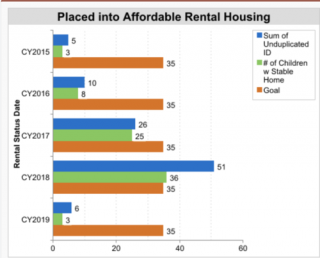 As of February 2019, MEDA has five new constructions in the pipeline, with these hundreds of units eventually providing affordable and stable housing to families, transitional-age youth, seniors and the formerly homeless. 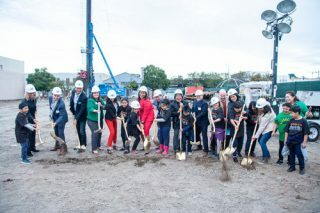 These new properties will also provide permanent, secure homes for longtime Mission District nonprofits and arts & cultural organizations, also vulnerable to displacement. 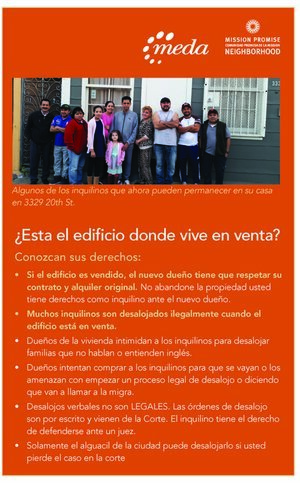 MEDA provides culturally relevant assistance to help the Latino community apply for City of San Francisco housing lotteries for below-market-rate (BMR) apartments. This targeted outreach ensures that the Latino community is fairly represented in the BMR process. MEDA’s training of Housing Promotoras greatly increased the rate of client success with navigating and winning affordable housing through DAHLIA.